A commentary specifically for Panama Wave subscribers will be posted soon. In the meantime, Bob Adams, Panama Wave’s CEO, published an article at LinkedIn that may be of interest. You can read it at the link below. Panama's future depends on "imports"
If you have come to this page from a search engine or a friend's recommendation and want to subscribe, send us your email address, tell us you want to subscribe, and we will include you when we announce new commentaries or changes at our website. There is no cost involved and we do not share our mailing list with anyone else. We are now into 2019. What does this year hold for “marketing Panama”, whether real estate or something else? And can we make it a brighter future? 1) They stay in the best hotels. 2) They eat in the best restaurants. 3) They visit the bars, casinos, and clubs. 4) They love Casco Viejo. 5) They visit the Canal, Amador, the Biodiversity Museum, Panama Viejo, etc. 6) If it’s their first time in Panama, they discover that Panama City is a first-class urban center in a beautiful location. If they have been here in past years, they will see that we have not stopped creating value for others as we create value for ourselves, and the best is yet to come. 8) Someone else pays the bills. These are “tourists” having a good time, experiencing Panama at its best, and who often have the money to buy a home or invest. I have seen this happen in other nations. When the trip is a great success and you don’t have to pay for it, wherever you are looks like a great place to live! In addition, there are other common factors important to us. We know how many are coming. We know when they will arrive and when they will leave. We know where they will be staying. We know their convention schedule and when free time is planned. We know what nations and cultures will most likely be represented. We will have a good idea of age, gender, even income class, professional background and possibly other details for a specific convention. In other words, we can “profile” them before they arrive. And there is more! Everyone talks about the importance of “social media”. The convention is one of the oldest forms of social media in the modern world. Sure, people get together on Facebook or Twitter or travel blogs or a dozen other virtual meeting places, but there is nothing like meeting face-to-face, drinking, eating, talking, and having a good time together. Do you think networking is something discovered in your lifetime? It was going on long before you were born, and the convention is one of its most powerful forms. If you are concerned with marketing real estate investment in Panama and you have not already begun to prepare a “convention strategy” (and I do not mean just a booth at the convention center! ), you may be in the wrong business. I have “facilitated” (organized and implemented) conventions and conferences all over the world during the last five decades as a consultant in economic development. They offer great potential and you have to work hard for it over a week or two, but it pays off more than any other form of advertising. It can even lead to sales during the convention. I will finish with another comment. The easy days when Panamanians in real estate could sit and Americans and Canadians came to them are gone. The truth is that Panamanians benefited from that boom, but they didn’t create it. International Living, Sam Taliaferro, a very stubborn group of North Americans with boats on the islands of Bocas del Toro, an assortment of different expats in the Pedasí area, and a real estate bubble in the US all were critical to the boom. Panamanians can take credit for rising to the occasion and creating new developments in the city and along the coast west of the city. But I found no one here when I arrived in February of 2004, fifteen years ago, who actually marketed outside Panama to bring people in. We need to learn to do that (it is more than a website) and I am watching as we miss a major opportunity right now. There is a large group of Americans who are selling their homes and moving. They are making big profits on their old homes and now want to move somewhere cheaper. For them, “cheaper” is $400,000 or more, sometimes a lot more. Panama is not perfect for all of them, but this group is made up of many segments and Panama is perfect for thousands. We have a good idea where they are moving, but those locations lack something. Panama has it. They could wipe out much of the unsold inventory on the coast and some in the city much faster than any other group. This situation has been underway for long enough to be a solid opportunity, but it will not be there forever. I will not go into detail here as I will keep this for a paying client, but it is worth mentioning. Too many people in Panama are depressed and cannot see beyond their problems to find solutions. They are out there. Until next time, thank you for visiting! Panama began 2019 with a success. World Youth Day may not have brought as many participants as originally expected, but it was still a massive event and it was implemented extremely well. Perhaps the most important thing is that there was no major problem. That would have been a sour note on which to begin the year, but it did not happen, and I congratulate all those who made it a success! Looking forward to the rest of 2019, I am not pleased with the real estate sector. It is not prepared for the customers who are there and who are likely to come. I get the announcements of bank auctions for real estate on the coast and they can be disturbing. They include a price for someone who wants to stop the auction and buy immediately. One offer I recently received asked for more than $400,000 for a one-bedroom, one-bathroom apartment of 130 square meters. Other than a simple kitchen with appliances, it is completely unfurnished. The only thing it has to offer is that the beach is within walking distance of the apartment. The video was not impressive, just an empty apartment. 8% of the members at my Retirement Wave site who are seriously interested in Panama said they were expecting to pay $400K or more for a place to live, but I can assure you that they were not thinking in terms of a one-bedroom, one-bathroom apartment. I expect the sale will have to wait for the auction. Good luck. The Panama real estate sector does very little to attract foreign retirees to the Panama City market, where there are real bargains and potential for sales. These potential buyers have not been reached by traditional advertising which stresses the ocean and mountains along the coast to the west. But both of those areas are now over-built and over-priced for the available demand. People rent because it is cheaper, or they just go home and tell me, “Panama is too expensive.” I am sorry to see them go, but I cannot disagree. Panama real estate developers have created their own “bubble”. I am very familiar with the real estate bubble in the US in the early 21st century. It was fueled by easy debt from mortgages that would never have been acceptable in the 20th century. The US mortgage industry broke the rules of the rule book they had written. In response, real estate boomed all over the US. It was a real estate developer’s dream … until it turned into everyone’s nightmare. In Panama, developers insisted on building in one small area along the coast west of Panama City and, sometimes, in the mountains behind that coast. They have driven prices for land up to as much as $1300 a square meter (more than $5,250,000 an acre) for a “good” empty lot. For that specific property, the water front is 50 meters (about 165 feet). That is ridiculous as far as I am concerned. That compares to $3.60 a square meter (about $14,500 an acre) at the property we represent on Lake Bayano, an hour and a half from downtown Panama City, closer than many coastal properties. The water front is 3,200 meters (about 2 miles). The reasons for the absurd imbalance in price are buried in Panamanian history and the socio-economic structure of Panamanian society. That approach is completely out-of-date today and makes no business sense at all. And yet, Panamanian developers continue to announce the opening of new developments even further down the coast where they will compete with the growing inventory of unsold properties. I am glad we are not involved with that. At least as far as the Lake is concerned, its property owners have provided a simple but professional tour service to the Lake and the Bayano Caves. Despite a slow economy elsewhere, this is turning out to be their best year. As I am writing this, last weekend they drew some 300 paying guests, a new record for them. Even Chinese tourists are taking Lake tours, although they do those separately using the services of Chinese-Panamanians, understandable in terms of language and culture. The point is that it took no time for the Chinese, the “new kids on the block”, to recognize the beauty and tranquility of the Lake. It does not look like a pale imitation of Florida. It looks like Panama and Panama is truly beautiful. It does not need to imitate anyone. If you are a developer and are interested in a property that is far cheaper than any alternative half as beautiful and developable, let us know now. We will be meeting with the owners over the next few weeks to decide if it is worth continuing as it is now, or take it off-market and in a different direction. That would be a loss for Panama real estate, but the client rules. I will finish with a note that an expat with a smaller lot on Lake Bayano and a neighbor of the property we represent has asked us to help with the marketing of his property. We are not agents and will not be involved in negotiations or other business regarding this property, but to avoid spam, he has requested that we temporarily receive any emails or expressions of interest and pass them along to him. We have agreed to do that, so if you are interested, use our contact form and we will pass your message on to him. You will find a brief description in our Opportunities page. A separate website will be created for the property soon. For now, I will leave it at that. I am currently following a major shift in the purchasing of high-end properties, at least a million dollars as a rule, sometimes much more. Although Panama does not offer enough for people like this (and it is more than a question of real estate), there is that possibility. But the shift is already underway, it is moving very rapidly, and it involves billions (thousands of millions) of dollars. We cannot respond to the current opportunity. But we can be ready in the future as there is much more to come. Unfortunately, it will require more than money, but planning and cooperative efforts with more than the real estate business. Traditionally, a small nation like Panama is not expected to respond successfully and therefore it is ignored now. This can change, if we want it to change, but with a lot of effort and promotion. “Field of Dreams” ("Campo de Sueños") was a very nice film, but “If you build it, they will come” is not appropriate for us. In the early part of the 21st century in Panama, this was what happened. In fact, we didn’t build enough of it and they came anyhow. That period is over and it is not coming back. The past is behind us. The future ahead of us demands that we adapt and change rapidly. It will be uncomfortable for many, but societies that understand this and deal with it effectively will prosper. Those that do not will suffer. Which will we be? This will be brief and I won’t bother with PDFs or translations. First, I want to share some more information on the Gallup Poll that indicated a 60% increase in American adults willing to relocate to another nation permanently. The details are found in the commentary directly below this, so I will not repeat them here. They stressed two results especially. The number of those 29 or younger was very high. That was always true in our surveys and was a critical point in both articles I wrote for Barron’s, so no surprise there. The results for men overall was a 30% increase, but for women it was 100%. They doubled. The younger the women, the more obvious the difference. This is the first time in their years of surveying on relocation that any difference has been noted and, this time, it is huge. It is a good reminder that the women moving into middle age as well as younger women are different from their mothers and grandmothers. They are far more likely to make their own decisions without regard to men. Understanding this will be critical to real estate sales people here in Panama as that becomes more and more common. There was one finding that they did not discuss, but I consider it to be very important. Yes, young adults were up and older adults (50+) were up a little, but the age group that really grew was the 30 through 49 group. They went up 90%. That put them at 19%, above the 16% average for the total population. This age group has the resources to make the move. If you want to move real estate inventory in Panama City, this is the group to target, but Panama’s real estate sector is focused on retirees and almost entirely misses this middle-aged group. They contact us through Retirement Wave, our non-profit site, and we do our best to help, but the sector just is not ready to deal with them effectively. I suspect that most people from Panama and elsewhere in Latin America (the ones old enough to be in charge of real estate development) just don’t think of that age group as being interested in relocation because that would not be likely to happen in their nation. This is a cultural problem and it really hurts the Panamanian real estate sector. We can help developers and promoters deal with this, but first they have to recognize the opportunity. I am not holding my breath! As to whether or not the change in the US is politically motivated, the answer is found in the results, but we do not waste time on anyone’s politics, in Panama or anywhere. To read the details, you can see their latest report by clicking here. In August, I first warned that Puerto Rico had potential as a competitor to Panama (and other nations), including a copy of a Wall Street Journal article. In November, I posted another article on that subject. I still doubt many people really think of Puerto Rico as competition, at least for many years. Think again. The one thing Panama had in the early days of its real estate boom was an “authority” outside Panama which decided to focus its business on Panama. You know them as International Living. They are still here and we are #1 on their list again, or so I heard. They are much less of a factor today, but most of us can remember when their choice for the #! retirement destination was front page news in Panama! No doubt, International Living (and also the late Sam Taliaferro who “created” Boquete) played important roles in introducing Panama to a wider North American audience. Lucky Puerto Rico! The same thing is happening for them! John Mauldin produces one of the most widely read investment newsletters, Thoughts from the Frontline. With a million readers, many of them with plenty of financial resources available to them, he is authoritative and influential. People listen to him. So listen to this excerpt from a recent announcement he made. He has left Dallas! But where and why? A street scene in San Juan, Puerto Rico. If you have never heard of John Mauldin and cannot believe that he is a serious money manager and investment advisor who can move people to make decisions, then too bad for you. I would say he is far more likely to attract far more people with substantial money than International Living on its best day. If you want to see what I am talking about, you can download a copy of his newsletter where he made the announcement by clicking here. The section specifically dealing with Puerto Rico is near the end and headlined as “Living on Island Time”. If Puerto Rico cooperates, they stand to welcome many new residents from the United States. Panama can compete with Puerto Rico on several counts, but so can they compete with Panama. The critical thing is 1) be aware of this sort of thing, 2) understand it, and 3) deal with it. Enough. A “normal” commentary will come soon. Thank you for stopping by to read. Very recently, some information arrived at my desktop from an organization for which I have great respect. It has a simple name, Gallup. It is perhaps the best-known and most-respected opinion survey company in the world. Gallup has more than 2000 professionals working in offices all over the world from the US to China, from India to Bahrain, from Germany to Brazil and many others. It has been a leader in polling for 85 years and today provides services to hundreds of corporations and governments all over the world. If you do not know Gallup, even if you think you do, you should take a moment to see this. I understand polling. I have commissioned more than 30 polls in my lifetime. Nine of them from 2005 through 2011 were focused on the American people and their interest in relocating outside the US. They involved more than 120,000 people. I used a professional organization similar to Gallup (Zogby International) to do the polls, but I also did one with another larger group (the Harris Poll) to confirm our results. That one poll had 90,000 participants. It satisfied me that we were doing the right thing. I included a poll to create a “psychological profile” of those who were seriously interested in relocation or already had decided to relocate, but also for people who did not want to relocate to understand any differences. Over the years, we asked dozens of different questions on why they wanted to relocate and what they wanted to find. This was not just about Panama. It included over 100 nations that Americans were considering. And these were professional polls, not just people randomly visiting an “international” website. I also commissioned a major “think-tank” in the US (the Migration Policy Institute) to do face-to-face interviews with US expats living in Mexico and Panama to hear their stories, the first study of its kind. In fact, everything we did was the “first of its kind”. All that work cost me and my corporation more than $300,000, and that does not include a great deal of other research we completed. We closed the company in 2008 as I and my business partner both moved to Panama. As a result, I paid for the last two polls in 2009 and 2011 out of my own pocket. I stopped doing that in 2011 because it was too expensive and no one in Panama was interested. I have continued to do research specifically regarding Panama, including a 2017 poll of people planning to move to Panama, but again, no one in Panama was interested in doing anything with the information. In all this time, only one other organization has professionally polled on the subject of relocation to another nation and that is Gallup. They began in 2007 to include it in their World Poll which interviews hundreds of thousands of people in nations all over the world. There are differences between our polls. We asked dozens of questions on relocation to another nation. They ask over 100 questions on many topics, but only one question on relocation. Ours were done on the Internet. Gallup does its polling by phone or face-to-face or both if necessary. Our poll was only in English because it was only done in the US. Gallup uses more than 200 languages. For example, in India they use eleven (Assamese, Bengali, Gujarati, Hindi, Kannada, Malayalam, Marathi, Odia, Punjabi, Tamil, and Telugu) and in the Philippines, they use seven (Filipino, Iluko, Hiligaynon, Cebuano, Masbatenyo, Waray, and Tausug). They ask exactly the same questions to every person in every nation in a language they understand. And how many interviews were done for their latest World Poll? 453,122 adults in 152 countries. But the biggest difference is the words they use in their question, especially one word. Here is their question. The word that is capitalized is their emphasis, not mine. “Permanently” is a very powerful word. We did set a minimum of two years and we did not include people moving for business or government reasons, but only voluntarily. We never used a word like “permanently”. Why did Gallup use that word? Well, we would have to ask them, but I have followed their World Poll since it began and it is exactly what it says it is, a world poll, not a US poll. In the world, most of the discussion of migration regards people from “poor” nations moving to “rich” nations and those who want to move permanently are of special interest. The only specific mention of the US in this in the past is that it has been and continues to be the most popular nation for people wanting to relocate globally. We did have one other thing in common with Gallup. Over the years, the total number of Americans who wanted to relocate remained very stable in our polls. Within that number, there were changes among groups by age, income, etc., but the overall total was reasonably consistent. At Gallup, their polls were not concerned with any specific nation. So instead of providing the results by nation, they use regions. A region may have 10 or 20 or 30 nations in it, except for one region. They call it “Northern America”. North America is Canada, the US, and Mexico. For reasons of culture and history, Gallup includes Mexico in Latin America, so they use “Northern” to indicate that this is not the standard North America. This is the one region to include only two nations and one of them, the US, represents 86% of the total regional population. That did not make any difference for years. Americans and Canadians were almost identical in their response. That region was very, very stable, the same result in each survey…until the latest survey. When I saw the results for the first time last week, I was surprised to see that the US and Canada had risen from 10% to 14%. That is a 40% increase. Was that true in both nations? No, it was only in the US. The US total was 16%, a 60% increase over all the earlier surveys from the first one in 2007. That was a big surprise, believe me! I wrote them as I do after every one of their polls and I can assure you they were surprised too. Normally, they ignore results from just one nation, but this is too big and unexpected to ignore. They assure me they are looking into it more deeply and expect to share more on the topic. I look forward to that. I have shared a lot of detail above because I am going to give you a link to Gallup’s public report and I want you to have some background first. You will notice that they say what I am saying, but briefly. After all, this is not their US Poll, it is their World Poll. The fact that they mention it at all is an indication of its importance. When they choose to share more information on this one result, I expect it will be in a separate report. My final comment on their report is that, if I commissioned another of our polls with our approach, the numbers might be different, but I have no doubt that we would see a major increase too. So what does it mean for us in Panama? In English, I would call this the “tip of the iceberg”. There is more to this, but this is enough to let us know that there is something happening up north that could provide the real estate sector with relief. After all, if you leave permanently, you buy a home in your new nation. However, Panama is not prepared for it. We have a severely depressed market on the coast west of the city. New construction permits have fallen sharply. Everyone is depressed and unhappy. The only thing that is clear is that this is a terrible time to sell and a great time to buy! The same is true for developers. If you are a Panamanian developer with money, you are in luck. If you are an expatriate with money, this is definitely a time to visit. We need new developments in less expensive areas that allow us to offer a wider range of home prices or lot prices. This will not happen overnight. It takes time for people to move from this position to actually relocating, but remember, this began in 2016, and also remember, as has happened before, what begins in the US often appears in other nations a little later. Yes, more people will be looking at relocation, but will they be looking at Panama? If we in Panama understand this and react appropriately, it could be very profitable for everyone, both the sellers here and the potential buyers in the US. That is our business and we are the only business in Panama with our background. I could say a lot more on this topic, but I will leave it at that. To me, it’s obvious. But if it isn’t obvious to you, we can help you understand. Just ask. It has been a couple months since I last wrote. It was a busy time. Among other things, I moved from one apartment to another. That is never fun, but there was more. My eyesight began to deteriorate. At first, it was slow, but then it became very obvious. So please allow me to take a moment to express my sincere appreciation to Dr. Rolando A. Chanis who did an excellent job of restoring my full vision! Believe me, it made a very big difference. Panama continues to work its way through an economic recession. There are two factors that have made it seem worse than expected. I will not spend time on it here as I have mentioned in the past, but there is the issue of delayed projects that affect both employment and tourism. The two most significant being the delays in completing the new convention center and the second terminal at Tocumen. As I always point out to foreigners, one of Panama’s greatest strengths is its use of the US dollar. As a result, Panama must earn every dollar it spends, it cannot print them. When looking at the large-scale, expensive projects, Panama has emphasized those that bring in more dollars than they cost. The convention center and the new terminal will do both. Projects like the Metro do that indirectly because they make doing business in Panama easier, more efficient, and more cost-effective. That is why Panama Pacifico and Tocumen look forward to their own Metro stations. And finally, Panama is a “city-state”. What happens in Panama City affects the entire nation dramatically. I discuss this in greater detail in my “May 2018 (#3)” commentary below. The current economic situation is as much a psychological recession as it is an economic recession. We can see one example of this in the chart below comparing the latest statistics available for2018 with those for the same period in earlier years. All the gains earned from 2014-2016 and a little more were lost in one year, and it continues to get worse. This is a clear sign of the psychological recession. A new vehicle that might have seemed “necessary” a year earlier suddenly becomes an “expensive frill”, something that can wait for a year or two, maybe more. I see nothing that has happened in the Panamanian economy to explain this dramatic collapse in auto sales. It is not the reality of the economy, but the Panamanian perception of the economy that drives this collapse. Will things turn around? Yes. Why? It is really very simple when you look at the forest, not just one tree or another. What I write now may be misunderstood, but it is a reality I share with foreigners when I have the opportunity. In brief, Panama has no real competition. - El Salvador, Honduras, and Guatemala, home of the “caravans”, are in very bad shape and sometimes it is not clear how much control each central government has of its own territory, much less its finances. - Costa Rica faces a growing financial crisis. Its bonds, already graded as speculative (often called “junk” bonds), are threatened by another down-grade (summary in English or in Spanish). A major public sector strike is not helping things. Their political divisions are far more serious than anything we deal with. Every administration has to struggle just to get a budget passed. - Colombia still has plenty of problems dealing with its cartels, its own financial problems, and now must deal with hundreds of thousands of impoverished Venezuelan refugees already there and more on the way. It, along with Ecuador, Peru, and even Chile, have their own Venezuelan “caravans” to worry about, much bigger than the ones moving north. - And of course, there is the tragedy of Venezuela. Do I need to say anything more? I would go into much more detail in a formal presentation, but this sums it up. These nations have citizens who are good people, but they some have problems from over-dependency on a natural resource to terrible leadership to simply not having the money. They may attract business, but not as easily as Panama because of two basic factors: services and stability. In addition, Panama has used the resources of the last two decades to create not only a logistics platform, but a society far better off than most in Latin America. I very much appreciated the commentary of Lenin Sucre B. in La Prensa three months ago, El cielo sería el límite, “The Sky would be the Limit”. Indeed. In that essay, Sr. Sucre mentions that our Tocumen airport connects with more international destinations than Mexico City’s airport. I went into the statistics and updated them. I subtracted any destinations whose flights were going to be discontinued and not replaced. I also subtracted “seasonal destinations”, cities served only during certain months and which are not served by other airlines. We are left with destinations with regular service at both airports. Mexico City loses two destinations due to lack of business (Philadelphia, PA and Portland, OR in the US) and five that are only seasonal destinations. Panama City only loses one seasonal destination (Warsaw, Poland). The result? Mexico City provides regular service to 53 international destinations year-round. Panama City provides regular service to 85 international destinations year-round. We may be small, but Panama is as “globalized” as any nation in Latin America and more so than most nations in the world. And one final note. Those delayed projects are all opening in the first half of next year. Then, watch the gap grow. Panama is a good example of an old English saying, “Success breeds success.” Another way of saying that is, “Those who make the most money have the most money to make more.” For all our complaints, many of them very justifiable, we can afford to be the leader in our region and in all of Latin America. There is one potential problem we must avoid. As I said at Barron’s in my defense of Panama following the “papers” of 2016, "Debate among the leaders can be very partisan, but they have one important thing in common: When it comes to economic growth, they pass the ball, they don't drop it." Let us never forget that, especially with an election coming early next year. Nothing is perfect, we are all human, and Panama is no different. The real estate and tourist sectors have some serious problems. In my next commentary, coming very soon, I will discuss some of them. A final note. Some of you who read my last commentary may have thought my discussion of Puerto Rico as competition for Panama was amusing, but not serious. If you were one of them (or even if you were not), here is an article that may interest you. Unexpectedly, it is a very serious and well-written article in a magazine that for many decades has been know as a fashion magazine for men with money! Its name is GQ, a US magazine that has multiple editions, including Latin America. They have expanded to include serious journalism. So serious that they won the Pulitzer Prize for feature journalism this year, beating both the New York Times and the Washington Post that traditionally dominate this prize. Jesse Barron, a well-respected journalist, does an excellent job. Puerto Rico is a long distance from where we are today, but not so long ago, we were a long distance from where we are today too. You can read it here. Until next time, thank you for visiting. I have a lot of statistics and graphs that can help us understand the current situation in Panama’s economy and its real estate sector, but I will not share them today. They will still be relevant in the future. Instead, I want to introduce another part of our region that may be the “new Panama” for real estate if we do not get down to business here. Many Panamanians were surprised 12-15 years ago by the arrival of so many Americans interested in relocation. When I arrived in February of 2004, I found Panamanians were more than happy to welcome them. This new competitor (and that is exactly what they are) is just as surprised today...and I imagine they are just as happy. I will discuss the US market for tourists and relocators specifically because this new competitor is focused on that specific market. Sometimes we forget or just ignore what Americans do if they want to relocate to Panama. I have talked to hundreds over the years and I am reminded of it every time. Let’s consider an average couple, Tom and Joan, who decide they want to relocate to Panama. Typically, Tom and Joan will visit Panama a minimum of three times, sometimes more, to get their residency visas and find a home. That is six round-trip tickets from the US. They will spend 30 nights in a hotel. Even if the hotel provides a free breakfast, Tom and Joan will pay for at least 60 meals (and they will not be eating at a fonda). Unless they are only interested in Panama City, they will rent a car for 20 to 25 days. They also will have other local transportation costs – taxis, Uber, possibly a plane ticket to Bocas or even David. They have to provide documentation from the US government, an FBI report for example, that will have to be “apostilled”, a word Tom and Joan have never heard before. Then there are the government fees required for a visa and of course, the lawyer. There is more, but that is enough to make the point. Tom and Joan will spend thousands of dollars before they can get a residency visa and find a home in Panama. When finished, they will have spent $10,000 to $15,000, or more. And they do all of this is a foreign nation with foreign laws and regulations they have never experienced before (try setting up a simple savings account here as a foreigner). Our new competitor offers a much cheaper and easier deal. They don’t require a visa from an American citizen who wants to live there. They even provide the opportunity for US citizens to live with them and not have to pay US income taxes, legally! We have Casco Viejo, but they many more examples of beautiful old Spanish architecture. And it is easy to ship things from the US. Opening a bank account is much faster and simpler. Yes, they still have to pay for hotels, meals, and transport, but just removing the visa and the visa lawyer from the equation saves a lot of money. Can we compete with them? Absolutely. Can we offer more than the competitor? Sure, but we have work to do. The first steps in dealing with competition are to recognize it and respect it. Above all, we must not wait for the US market to come to us. We must reach out to them and demonstrate that we have a superior offer. As a courtesy, I am providing readers with a copy of a Wall Street Journal article published Tuesday, August 21 that provides a summary of our new competition, Puerto Rico. It begins talking about hotels, but then they will discuss house purchases and tax benefits, so read the whole article. It is not that long. I know there will be some people who will think, "Puerto Rico is no real competition. They have too much bad news in their recent history. We are well-established as a home for US expats. It will be many years before they can threaten us. We should not over-react. This is not a long-term threat." Nearly 15 years ago, I read words just like those at websites and blogs, but they were talking about Panama. And where did they come from? Costa Rica. For those who have paid for a subscription to the Journal (good for you! ), you can also read the article here. Today, I am updating a chart that we presented here more than a year ago. It regards the number of retirees from the United States relocating to Panama. Why should anyone outside the US care if American retirees are relocating to Panama or not? Americans and Panamanians have more than a century of experience with each other and, despite some difficult times in the past, they have been good friends. If more Americans were leaving Panama than arriving, that would be news. We would all want to know why. In the past, some people claimed that Americans were leaving Panama, but that was an opinion. Was there any statistical support for that opinion? The US does not require its citizens to register if they leave the US, but retirees who want their Social Security payments deposited to an overseas account do need to register for that. As a result, we have a real statistic reported annually by nation of foreign residence. This statistic does not include those who have their checks deposited in the US or who have not yet claimed their payments, but there is one fact that makes this statistic useful. It is very “sensitive” and will quickly reveal a trend, if there is any. If Americans receiving Social Security in Panama go back to the US or anywhere else, you can bet they change their bank fast! So anyone having it deposited electronically in Panama is definitely living in Panama. To see a trend over time, we need statistics for more than one year. Fortunately, these statistics are available to us for 2002 and every year through 2017. They are provided by the US Social Security Administration annually, but you have to do the work of finding the earlier numbers and we have done that. However, I want to do a little more. I will compare Panama's results with two other nations, Mexico and Costa Rica, and also with global statistics for all Americans claiming residency outside the US for Social Security, the global total. Why Mexico and Costa Rica? Because they were the nations Americans retired to during the late 20th century and into the 21st, so we can compare Panama to its greatest “competitors” over time. We do not want to use actual numbers as obviously the global total would be far more than any one nation, and Mexico has always had a very large American resident community (over 1,000,000) since it is a next-door neighbor to the US. So how can we compare them? We can “index” the statistics. Briefly, we can use 2002 as our base year and represent each group as 100. Then if one area goes up 8% the next year, the index number is 108. If it goes down 8%, the index number is 92. In other words, we are showing the percentage gains and losses, but since each group is set at 100, they can be shown in direct comparison in a graph. After all, we are not really concerned with the numbers, we are only concerned with the trend and this will show up quickly on a graph using this approach. Enough talk, what is the result? What can we say about this? It is a continuation of a trend that has been underway for several years. Let’s look at each of the four totals, starting from the bottom. Costa Rica continues its slide down, but at a much slower pace. This is not really “good” news, but it is better than in recent years. They may finally be stabilizing, but they are almost back to where they were in 2003. Mexico, despite its cartel problems and disagreements with its northern neighbor, continues its slow growth after a long period of stagnation. The World total continues its steady rise. Panama continues to be the leader, but the trend began to slow down in 2015 and continues to be slow. Some people express surprise that the total is not falling since business from the US has fallen seriously for promoters and real estate agencies in recent years. So how is the trend still increasing? Because people are renting, not buying. Why are they renting? Because the homes offered are too expensive. But they are expensive in Costa Rica too, so why is Panama considered expensive? Because Costa Rica is not Panama’s competition. Panama’s competition is Florida and Panama is losing. That is unnecessary, but it is true. Can it be overcome? Yes, definitely, Panama Wave has done and continues to do the research with foreigners, not just from the US, who are seriously interested in Panama, but undecided. However, we need to get to work now. If we do not, that beautiful blue line in the chart will start to come down. There will be another commentary on this subject. Stay tuned! ¡Manténganse al tanto! If you have come to this page from a search engine or a friend's recommendation, send us your email address and we will include you when we announce new commentaries or changes at our website. There is no cost involved and we do not share our mailing list with anyone else. 1) Leave the politics to the politicians and focus on the project itself. 2) If some people see the project as eventually linking with similar projects in other nations, but without any multi-national agreement and funding identified for the other links, the focus should be on creating a project that will be useful where it is being built and the funding is in place, regardless of what any other nation may do in the future. Therefore, I treat this as a Panama project at this time. It can be a link later, if the agreement and funds are available. I have a suggestion to offer. This suggestion is only concerned with the technology used. Trains were "high tech" in the 19th century. Trains are slaves to the tracks they use. They can only go where the tracks go. Trains require schedules and that can be a problem. One hope is that a train will reduce highway congestion. Much of that congestion is associated with Panamanians visiting their families in the interior on weekends, holidays, and vacations. Panama is very much a nation of automobiles, as any driver here knows. It may be challenging for a family to get organized to visit the countryside by car, but a train will not necessarily make it easier. You must have the family organized and at the train station before the train's departure. Once you leave the train, perhaps you can walk to your destination or take a short taxi ride, but many people will have to go another 10 or 30 or 50 kilometers or more to get to their destination. Once there, if you want to go anywhere else, again you must find transportation. Finally, you must arrange for dependable transport back to the train station if you don't want to miss your train back to the city. I suspect that many drivers will prefer to be stuck in a traffic jam for a couple hours but have control over their transportation for the entire journey, rather than be obligated to meet a train schedule that cannot be changed and then find alternative transport wherever they go. When you have limited time available, you want to have as much control over your schedule and itinerary as possible. As for families who normally take buses, the government may have to heavily subsidize train travel to make it practical for them and, as we know on a smaller scale with the Metro, that can be a major financial burden to the nation. And let's not forget that buses can stop along the way for their clients. Trains can only stop at their stations. So, what is my alternative? Whatever is done will not only cost billions of dollars but take years to build. The system chosen must be a 21st century system, not one designed for the 19th century. I suggest that Panama consider the construction of a highway specifically designed for autonomous vehicles. Do you wonder if there will be enough autonomous vehicles for such a highway? Remember, the highway will not be ready for several years. Autonomous automobiles from several companies expect to be ready for general use in 2021. It is the same for trucks carrying freight. Although this technology has had problems at its testing stage now, the solutions are engineering solutions, hardware and software, and humans are very good at engineering. The potential of this technology is so obvious that you can be sure that those solutions will be found. What are the benefits of an autonomous highway compared to a train? A 450 km (270 mile) distance is very short by global standards. A high-speed train is of little use if it must stop constantly to pick up and drop off people and freight at stations that are expensive to build and maintain. The autonomous highway will need no stations. At each entrance/exit, there will be a "feeder road" beside the highway where vehicles shift from driver-control to computer-control when entering the highway or the reverse when leaving the highway. An expensive high-speed train will never reach its full speed potential for more than a few minutes. Cars, buses, and trucks will need upgrading, but they will be useful eventually on all roads and they will be perfect for the autonomous highway. With computers communicating with each other, any mixture of vehicles can share the same lane at a very high speed without interruption until they reach their destination. Then they move to the feeder road, slow down, and a driver takes over. One criticism of this new technology is that drivers lose jobs. But in this case, a driver will be required for each vehicle to bring it to the autonomous highway and then to take it off the highway and on to its final destination. No jobs are lost, but they become much easier and much less exhausting. As on the roads of today, each driver will have passed the appropriate test for his or her vehicle and be qualified to drive. Every vehicle will have a qualified driver behind the wheel to take control in an emergency, increasing the safety of everyone on the autonomous highway. Whatever is built will have to be in use for decades if it is to pay for its construction. 19th century high-tech will not respond to future needs. If this huge investment will be available in the third decade of the 21st century and useful for decades, it must provide 21st century service. The 19th century is history. In addition, Panama has now launched a Global Center for Excellence in Logistics in partnership with DHL who helped Singapore do the same thing successfully. This Center may also provide technical assistance, especially with its integration into our global logistical platform. Yes, Panama is small, but so was Singapore when it gained full independence in 1965. Most experts expected it to fail. It was too small to survive and prosper. But Singapore did not copy what other nations had done in the past. They created their own style based on innovation with their eyes always focused on the future. It was not easy, but Singapore is one of this planet's most impressive success stories. Some day in the future, we can hope that people will say the same about Panama. But if this is to happen, we need to demonstrate the same innovation and future orientation as Singapore. We should look at every major project with this in mind. Expansion of the Panama Canal has already proven that Panama can make this approach work. Panama can do it again. Note: When this commentary was first published here, we were unaware that further news on this topic would be published hours later. You can find information on the rapid development of autonomous vehicles in this article at Business Insider. For those with paid subscriptions to the Wall Street Journal, more detail can be found here. This commentary completes the current series and points to a direction for the real estate community that can benefit them, both Panamanian and expat buyers, and the local communities. In “game theory”, it’s a win-win-win scenario and that is not very common these days. When I say “direction”, I literally mean a direction. As I have discussed on several occasions, the area directly west of Panama City has been over-built and over-priced. The price of land is ridiculously high. Further developments there are very likely to offer a negative Return on Investment, or an ROI that is so small as to make it unattractive to most developers. Yet because developments take two to three years or longer before there is anything to sell, new developments continue to open, despite the poor outlook. Moving further west, land is still expensive and, most importantly, “access” to Panama City fades. Traveling three hours, probably more, to get to downtown Panama City, the best hospitals, the best shopping malls, and especially the international airport at Tocumen presents an obstacle to sales, not an incentive. There have been efforts to create developments north of the city, but they often fail with the “Panama” factor or, if they can get out of the urban sprawl, they may be near the city’s amenities “as the bird flies”, but if the bird must drive a car, then the bird is in trouble. In addition, they have been very poorly marketed and are unknown to expats particularly. In 14 years of running a non-profit Panama info website and YouTube channel, I have never had one of the thousands of visitors to both who has expressed any interest in that direction. To the south of the city is the Pacific Ocean. Yes, there is the Bay with its islands and there has been some development there, but it has not been successful. People may enjoy visiting them, but having to depend on boats to get to the mainland is a lot like depending on air flights. It is very annoying and expensive in time and money to live there. People who plan to live in Panama prefer roads to planes or boats. The islands have not successful in attracting residents (and for that matter, not all that many tourists). They are also never mentioned by expats headed this way, looking for a home to buy. That leaves us with one direction, the direction where Panama Wave S.A. is the specialist – east of Panama City. I could write a book on the reasons why the east has been ignored for so long. It started 500 years ago when, just nine months after declaring Panama City as the first European city on the Pacific coast of the Americas, the Spanish established their second city on the Pacific side at Natá in today’s Coclé Province west of the city and the east was completely ignored. The late 20th century compounded the problem when criminal activity from Colombia spilled over into the far east of Panama, leading most Panamanians to see anything east of Panama City as too close to the Darién, even areas far from any cartel activity. The result was that when the real estate boom of the early 21st century got underway, the upper-class, family-run Panamanian real estate developers went west to the area they know best and where they had their country homes, ignoring the east. For expatriate readers who find it hard to understand how an entire area, including the nation’s second-largest and very beautiful lake, would be ignored. I mention the population census of 2010. Most people may have forgotten that the census bureau (INEC) reported a population of 3.3 million initially, but added that this was a preliminary figure. They had run out of census forms for the area directly east of the airport and had to have an additional 30,000 forms printed! 30,000 forms meant 30,000 households, so I expect an additional 100,000 people to be “found”. Indeed, a few weeks later, the final results were announced and the total was now 3.4 million. It may be hard to imagine, but our very fine census office managed to print and distribute sufficient census forms to every square meter of the Republic, except to an area just minutes east of the international airport and a half-hour’s drive from their offices! However, I don’t blame INEC. They simply made the same incorrect assumptions of the upper-class and Panamanian business communities, but I still remember my surprise. That was “yesterday”. It is clear that attitudes have changed, and one obvious example is that Line Two of the Metro, scheduled to open early next year, extends not only to the eastern communities missed by the census, but beyond them. As a plus for developers, the need to transport workers out to a project (common in other areas) will now be much faster and cheaper since they can be picked up at a Metro station! This brings me to the property we represent. I have a few facts to share that are not found at the website dedicated to the sale or are only briefly mentioned. Once again, remember that we are not a real estate agency and have no interest in becoming one. This sale is a one-time effort as we know the land, we know its potential, and we know its owners who have asked us to be their exclusive agent. We believe so strongly in the potential for this property that we agreed to their request. There is a growing trend in Panama to insist that the nation’s environment and ecological systems are respected when building a new project, especially one as beautiful and valued as Lake Bayano. Some years ago, an expatriate group purchased raw land with some Bayano waterfront. The land was covered with trees as it had not been used for agriculture, livestock, or other activities. ANAM, the environmental agency, had the responsibility of determining how much clearing of the land could be done. The expat group obviously decided that a Panamanian agency would not interfere with economic development, so they publicly offered their project for pre-construction sale before ANAM had completed its work. They were stopped almost immediately, their permit was denied, and they left, never to return. The land we represent has been used as a dairy farm for four decades. It lies at the end of the only paved road other than the Pan-American and it already has tosca roads (dirt with crushed rock usable year-round) on the property. The land was cleared at the beginning. There are still trees in many places, but they will not prevent development, they will enhance it. Under those circumstances, ANAM makes few demands if the plan for use is intelligent. The owner of the land we represent sold two large lots over the years. One was divided into three parts and resold to a Canadian, a Panamanian, and an American. I know. I bought the land and I sold the lots. I had no difficulty receiving ANAM approval because the land was already cleared and the natural environment was not threatened. But if someone today tried to clear land in the way it was four decades ago, they would be facing real problems that would cost them plenty of money, time, and effort. This is a serious factor to be kept in mind when approaching waterfront development on lakes as much as on the ocean. Why doesn’t the owner sell his land in multiple lots? That is an easy question to answer. He is not a developer. He has no interest in paying for a “master plan”, an environmental impact study, and meeting all the legal requirements necessary for a real estate development. He is happy to let a professional do that. We mention at the Lake sale site that there are two houses on the property, plus a very simple home that can be used by a farm hand or caretaker. The houses are in good condition, one is only a few years old, and are in regular use. You would not buy the land for the houses, but if you buy the land, you have perfectly good housing for use by architects, construction managers, custodians and others who would not have to be transported to the site before and during construction. That can provide a major improvement in productivity from the beginning at a real savings to you. The small business, Panama Caves (in English or in Spanish), is also briefly mentioned at the sale site. Owned and operated by the son of the land owner as a small business in addition to his full-time professional position in the city, it has introduced several thousand people, expat and Panamanian to the Lake and its caves. He can close that business down without hesitation, but if I were the buyer, I would discuss his continuing the business, perhaps even helping him improve it a little. Not only would that help guarantee that the land was secure and kept in good condition while plans were prepared, but it also is and would be an excellent “advertisement” for the Lake and any sales campaign in the future. All of this raises another factor in real estate development that adds to value – “good will”. It is not a statistic. It means that with sensitivity a buyer can develop a positive relationship with local people based on the good will created by the current owner. After 40 years as one of the big landowners in the area, the owner is very well-respected and well-liked locally by his Latino neighbors. He is a true dairyman who works on the land himself. He “speaks their language” in more ways than one. In addition, his son’s business uses the services of indigenous people with whom he has developed a relationship of trust. This can make a very substantial difference in successfully developing the land. Ignore the local community and there will be a price to be pad for that, anywhere you buy in Panama. From the additional land taken from the property road. It is not mentioned at the site, but the owner also has an additional 30+ hectares of land at the far end of the property under “rights of possession”. Simply put, he has used that land for a very long time, is recognized locally as its owner, but has not titled the land. Titling it would be simple, but it requires lawyers and bureaucracy, two groups the current owner really dislikes working with. However, since the buyer has a lawyer, if he or she offered to take care of the paperwork, I think the owner will listen to an offer. This land is on a steep hillside overlooking the Lake, so it is not appropriate for residential construction and might cause an issue with ANAM. But it is perfect for hiking trails, zip lines, and other amenities that can greatly enhance a real estate project, while protecting the natural environment. Finally, I will complete this commentary with something you will not find elsewhere. The sale of this land is our one priority. If that is accomplished, then we have done our job and we will continue our business development separately. However, if a buyer convinces us that he or she has plans for a development that takes advantage of all this property provides and offers lots and/or homes for sale that are reasonably-priced, shows respect for the environment, and offers real value to clients, then I am prepared to discuss Panama Wave’s support. In the twelve years I have visited the Lake, owned property on it, sold property on it, and introduced it to many people, both expat and Panamanian, and seen their reactions, I know that we can help you sell your development. I say that without hesitation. As I said, sale of the property is not contingent on any future contract with Panama Wave S.A. In addition, we will only work with developers who truly offer value. I have spent nearly a decade and a half developing a relationship of trust with members at our Retirement Wave website and subscribers to my very informal YouTube channel. I do not promote them, so I know I can grow their visitors substantially with minimal effort, but those who are already our friends are more than enough to make a difference. I would do that with complete transparency as I am not about to lose their trust for a contract. I mention it today as an additional possible resource for a buyer. This property at Lake Bayano offers a “package” of benefits that separate it from all others. In the process, it meets every one of the four critical factors I have discussed before. The access to the city and the international airport is excellent, better than properties on the coast to the west, and it will get even better as the Pan-American is expanded to four lanes. The respect is very much in the hands of the buyer and his/her approach to the property, but the good will already created provides a foundation for your use. And above all, this is Panama! It is not a pale imitation of something somewhere else. It is the reason Panama is such a wonderful nation. It is the reason why people move to Panama. It does not need to follow another nation’s “model”. It can and must create its own. If this is of any potential interest to you and you have the resources required, just let me know and I will be happy to introduce you to the land, its owners, and the Lake! Two weeks ago, I wrote about Panama's attraction to US retirees. The graph demonstrated that we were doing well, but I warned that there were signs of a potential problem. Last week, I described that problem, a serious slow-down in growth, and I demonstrated how that kind of change had happened a few years ago in Costa Rica and led to a very dramatic decline for them. Today, I want to discuss the four primary reasons why people, not just retirees from the US but other age groups and nations as well, are turning away from purchasing homes in Panama. First, I should explain what I am using as a basis for this commentary. There is too much detail to share here, so it is simply a list. I was responsible for nine professional, statistically-valid surveys of over 120,000 Americans of all ages from 2005 through 2011 about relocating to another nation. The results were the basis for published articles and interviews in India, Australia, the US, France, Singapore, and other nations. After 2011, the results of all research were kept internally and not published. For nearly 14 years, I have operated Retirement Wave, a non-commercial website dedicated to people interested in relocating to Panama. Over that period, somewhere between 20,000 and 25,000 people from more than 60 nations have visited. Currently, there are about 6,000 “members” on my mailing list. In addition, I operate a YouTube channel with nearly 1,500 subscribers that provides the same support. I do not spend a single centavo to promote either the website or the YT channel. For visitors, all this is free, no advertising, no sales. Last year, 673 members at Retirement Wave took time from their vacations in late July to complete a long questionnaire to explain what they were looking for in Panama. They do not live here. Some have visited, but many have not yet visited. The one thing they have in common is that they are all plan to relocate to another nation and they have decided that Panama is one of the nations most interesting to them. The important thing to keep in mind is that there are two rules for all the research we do. We never sell their personal information or our email lists to anyone. We guarantee people who write us or take part in a survey absolute confidentiality. Why? Because we want people to be completely honest with us and they will not be completely honest if they know we are sharing or selling their email addresses and personal information. We respect their right to privacy. Our “profit” is the honest information they provide. As a result of the above, we gather information directly from people who choose to come to Panama, but also from people who choose not to come to Panama and by keeping it free and guaranteeing their personal privacy, they have been very open. No other business in Panama can offer this. Although we refuse to share the personal information of anyone who writes us, we do let them know that we may share their information as a group to the real estate sector in Panama to help improve the Panamanian real estate situation. They like that because it protects them personally, but they know that their criticisms and concerns as a group will be heard. The information is not useful only to real estate agents and agencies. The people who need to hear it are the Panamanians and expatriates who develop the projects and provide the homes for sale. Unfortunately, they are the hardest group to work with. They rarely listen, but we never stop trying. I have told our friends that if a developer creates a development that responds to their concerns and criticisms and does its best to provide a high-quality home at a price most people can afford, I will let them know. 14 years and it has not yet happened. That is the foundation for my comments today. Based on all the information we have collected, we have identified four critical factors. Price – This is obvious. Buying a home is always the biggest expense. If I use US retirees as examples, it is because they are a large, established market for Panama real estate, it is very common for them to consider Panama as one possible nation for relocation, they can get here more quickly and cheaply than from Europe or Asia, and the idea of retiring to Latin America is not new. A few even have parents who retired to Latin America! Of the four factors, this takes the most time to explain, but it is too important to ignore. There is a common rumor in Panama that US retirees no longer have enough money to buy a home in Panama. That is a serious mistake. Why? Without detail, here are several points. People of retirement age are the most likely to have paid their mortgages completely and most can sell their US home without having to pay capital gains taxes, so the proceeds of selling their home are theirs to keep. Most want to buy a new home from the money they receive from their sale. They are typically couples and will visit Panama three times at least to get their residency visas and find a home, but only if their first visit is a success. If they choose Panama, they will spend $20,000 or more for airline flights, hotels, restaurants, local transport including rental cars, lawyers, government fees both in Panama and the US (“apostille” is a word they learn when they come to Panama), and other expenses. They want to have some money left over from the sale of their property when they find a home in Panama. I will use $50,000 as a typical amount. So, they will look for a property in Panama for $70,000 less than the proceeds of their sale in the US to cover their costs and have money left over. Other than Panama City, the majority arrive for the first time knowing one Panamanian location, Coronado. For them, it is not a place, it is a generic term for the area along the Pacific coast west of Panama City. I call it the “Box of Panama” (Caja de Panamá) and you can see it in the simple map. It is a creation of the Panama real estate sector and it has serious problems now. Most of the homes available are much too expensive for them to buy. Yes, there are some lower-priced properties, but they are difficult to find, and visitors will make up their minds in 48-72 hours after visiting developments in The Box that Panama is too expensive for them. They find properties for $350,000 to $1,000,000 and more. That leaves a very negative impression. They do not realize that too many developers have paid $800 to $1200 a square meter for waterfront land in The Box. In US terms, that is roughly $3,000,000 to $5,000,000 an acre! Even further back from the waterfront, the prices are still extremely high. Some go on to Chiriqui (Boquete and Volcan) only to find that prices may not be as high as on the coast, but they are still much higher than expected. There are two responses that are common today, but were very unusual a decade or more ago. Many will leave Panama, never to return. Others will rent, but since they are renting in an expensive area, they may never find a home they can afford. I know about these people. They talk to me and they write to me. We should not have this problem. A typical mistake made in Panamanian real estate is to think that the US is one big market. That is not true. It is a combination of many smaller markets and that has a great impact. Let me give you two examples using statistics provided by Realtor.com via Marketwatch. Mr. and Mrs. A live in Texas. As of 1 April 2018, the median house sale was $295,000. Subtract the $70,000 I mentioned earlier, and they have $225,000. How many homes can they find in The Box for this money? Even if they give up saving $50,000 for later use, that leaves $275,000. Mr. and Mrs. A are still going to be frustrated, even angry. Mr. and Mrs. B live in California. As of 1 April 2018, the median house sale was $549,000. Subtract the $70,000 and they have $479,000. That is a completely different story. Mr. and Mrs. B can find a “bargain” in The Box. I know there are many developers in Panama who will not consider a new development until they sell more from their developments in The Box. Here is my suggestion. Target your marketing. You say, how can we target California with its 40 million people? Don’t worry about it. If you target just the San Francisco Bay area and nothing more, you can find buyers. How do you do that? Let us know and we can talk. And for those potential expatriate developers, all I can say is that, if you are looking for somewhere to build in The Box, you are wasting your money. If your money is not important to you, please feel free to send it to me! This situation is completely unnecessary. There are very constructive ways to deal with it. But let’s go on to the other three factors. They will be easier and faster to summarize. Access – This is easy. Older people, regardless of nationality, are interested in access to hospitals and excellent medical care. Middle-aged people are interested in activities of all kinds. Those with children are interested in the best schools. Then there is a long list of many other things that relocators would like to have easily available. You know as well as I do that there is one best answer to these people – Panama City. Unfortunately, the Panamanian real estate sector does not do a good job of marketing the city effectively. As a result, people look for a home in The Box, so they can have access but still be outside the city. That is not working because of the price factor. Worse yet, The Box is turning into an urban area and that is not attractive to many of these people, even those with the money to buy in The Box. But living further away from the city takes them further away from access to what they want. Most leave Panama unhappily and they tell me that in their messages and in meeting with them. This is a very important factor and we have heard a lot about it. Providing access without urban noise and traffic at a price they can afford is not an easy job, but it is a very important one. There are other “minor” issues that can lose clients. If you have a contact form on your website, be sure someone checks every day and passes the message on to someone who will answer. I wrote one business here and they responded, eleven months later! Panamanians often tell me that “customer service” is a major problem in Panama. Customer service begins on a foundation of respect for the client. If you are not providing it, your problems are not with your website designer. Train your staff or have someone train them who knows how to do that. Panama! – Foreign relocators do not come to Panama in search of Florida, or California, or any other place than Panama. They dream of a tropical paradise where they can enjoy nature. When John Burns, the largest real estate consulting firm in the US, polled Boomers (people 54 to 72 years of age in 2018) what they wanted in a retirement community, #4 was “walking trails”. Golf did not make it into the top 15. I don’t have time to explain it today, but the 63-year-old North American or European of today is not the 63-year-old of ten or fifteen years ago. That is an important thing to understand. When I speak to foreigners of all ages and nationalities visiting Panama and ask them what most impressed them, I hear “the Embera village”, “nature”, and many things that have nothing to do with their lives back home. They love Panama for what it is, not what we do to it to make it “more modern”. Of course, they want modern amenities, but it is the natural environment that makes their eyes shine and their lips smile! Panama is not just about a long line of palm trees and carefully trimmed grass along the entrance to a development. It is also about sloths, macaws, our indigenous people and their colorful outfits, and more. But it is not just the countryside. What is the one place that everyone who visits Panama City falls in love with immediately if they visit it? Casco Viejo. They want to live in a place that looks like Casco Viejo. Panama is not just about 60-floor buildings and four-lane streets and highways. It is also about two-floor buildings with narrow streets built of brick. When we say Panama is “the bridge of the world, the heart of the Universe”, we must remember that the bridge (business) is only half the story. We must not forget the heart. This “factor” is very important. It is what visitors tell their friends and families back home when they explain why they want to move to Panama. All of us, residents and citizens together, must do a better job of building Panama without destroying Panama in the process. Is it possible to satisfy all four of the above factors in one real estate development in Panama? That will be the focus of my next commentary. In my last commentary, I discussed the “velocity of money”. In this commentary, I could say that I am discussing the “velocity of clients”, at least for one sector of the Panamanian economy – real estate. In Panama, it is general agreed that one group had a major impact on Panama’s real estate market in the first years of the 21st century - retirees from the US. If you were worked in real estate a decade of more ago, you know exactly what I mean. The largest single group of those retirees were from the US and the statistics on residency visa applications were publicly available at the time and demonstrated that. Unfortunately, those statistics are no longer shared publicly as in the past, but that is not a problem for us today. We have another statistic. Retirees are an important group. I will not take the time to explain this in detail, but I will mention that no group of foreigners is as likely as retirees to live anywhere in Panama. They have no children in school and they are not employees that have to go to an office every day. They can live anywhere they want to, and they do. 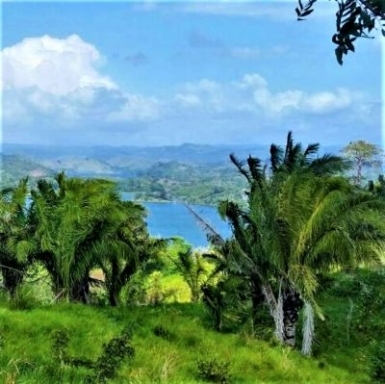 They are the primary group responsible for the dramatic growth in Boquete and the islands off Bocas del Toro, plus they are a major group in the Azuero region and dozens of other smaller areas around the nation. They live here full-time and they spend money on employees, restaurants, supermarkets, dry cleaners, gasoline stations, and a hundred other types of business in their area. They are the biggest group to spread the financial benefits of foreign residents all over the nation and they do it quietly, so they are often forgotten. There is more I could add, but this is enough to make my point for now. From the perspective of real estate, they bought thousands of homes starting in 2003 and continuing for years, but most of us know by experience that they are not buying as much in recent years. Some rent because they cannot afford to buy. Others simply do not come to Panama. Our big problem is that no one has an accurate statistic that indicates a change in their behavior. No one, except us. I presented the statistic in graphical form in my March commentary here at Panama Wave. I provided details as to what it represented. I will not repeat it all here, but I will provide a summary for those who have not read the March commentary (available at the website). 1) The US Social Security Administration (SSA) sends out government retirement checks. The earliest you can receive a payment is 62, but you must ask for it. Until 70, for every month you delay, you get a bigger check. At 70, you reach the maximum level and the government is required to begin monthly payments. 2) The SSA does not care where you live. They only need to know where to send your check. You can have it electronically transferred to a bank in Panama or almost any nation, if you request it. That is your decision. 3) The SSA provides a mountain of statistics every year, including list of nations to which it sends checks for retirees. We have collected that information for every year since 2002 through 2016. The results for 2017 will be available later this year. 4) From the beginning, we also collected statistics for Mexico and Costa Rica, the two Latin American nations most often chosen by US retirees in the 20th century. We also included the total for all payments outside the US, anywhere in the world. Mexico is quite stable. The world total increases steadily. But the results look terrible for Costa Rica and wonderful for Panama! When the line rises, it means more retirees are coming down than those who are returning to the US. When the line falls, more are returning to the US and fewer are coming down. That is not new as I already shared this graph in March. Now I want to ask a question. Is there any way that someone in Costa Rica could be warned by these statistics that they were in trouble before the trend line went down? In the graph above, the positive and negative changes each year are simply added or subtracted to the total from years before. Let’s take the same information but look at each year’s change separately. We have a new graph and it looks very different! Clearly, the totals for Mexico and the World look very stable, but not those for Costa Rica and Panama. If the percentage is going up, the increase is positive. If it is going down, it is negative and you will see a minus sign before the number. Now let’s look at Costa Rica separately. I have placed the results of the second graph on top of the first graph. The “trend line” starts a year later because it takes two years to begin a trend line. What does this graph tell us? It tells us that the trend line started down in 2012, but the annual increase started won in 2008. For four years, the total number of American retirees living in Costa Rica rose, but the increase was smaller each year, until finally even the trend line came down. I call this the “break”. That is the period when things are beginning to get worse, but the total continues to rise. If you only follow the trend line, you think there is no real problem. But when you see the change in the annual increases, you realize something is wrong. One year or two years might not be enough to worry you, but three years is serious. This went on for four years. That was the Costa Rican real estate market’s “warning”. Now let’s do the same with Panama’s results. Unlike Costa Rica, Panama’s trend line has not yet declined, but we can see a serious decline in annual increases from 2013 to 2014 with continued decrease in 2014-15 and 2015-16. Does this look like a “break”? Yes, it does. I suspect when the 2017 statistics are available, we will see it continue, but it is already enough to cause concern. I am going to stop here. The purpose today is to offer a warning based on real statistics, not opinions, and demonstrate what happened in one nation, our good neighbors to the west, when the trend changed and who have suffered as a result. I know I have Tico readers and you are most welcome! I hope some of my comments coming will be of help to you too. There is enough for all of us to grow. My next commentary coming next week will include more statistics not available generally, but also the results of discussions with hundreds of the most important people. These are people who have seriously considered Panama, but decided not to move down, some even before they visit. Some people in Panama may think fewer US retirees are moving to other nations. They are wrong. Why they are not moving to Panama is the real question. The next time, I will discuss what we have found to be the four very important factors affecting the attitudes of foreigners considering Panama for residency, but turning away. And although the statistics today are only for US retirees, we know that this is a more general problem. The news will not be entirely negative. It will be very positive as well because we can do something about it, but only if we take action now. There is a great deal of discussion in the newspapers regarding an apparent contradiction. While the GDP growth of Panama continues to be strong and remains the highest in the Western Hemisphere, the economy "on the street" is suffering a serious slow-down. How can the "macro" economy grow so well while the "micro" economy declines? First, where do we stand now? We had the best GDP growth of any nation in the Americas last year, the year before that, and we are expected to be #1 again this year. If you think GDP is not a good comparison, the World Economic Forum recently published its Inclusive Development Index which is meant to show if a nation does a good job of “including” all of its citizens in its economic growth. Panama came in #6 out of 74 “emerging markets” and #1 in Latin America. Last year, DHL published its biennial study of “connectivity”, an index demonstrating how well “connected” one nation is to others in the world. Connectivity is considered a critical element in today’s global economy. This is a sophisticated effort and it is a lot more than just how many cities you can fly to or the speed of your Internet connection! Panama ranks #42 of 140 nations and #1 in Latin America. For comparison, the US was #27 and Canada was #30. Those are just a few facts. I have not even mentioned the huge success of the expanded Panama Canal and many other facts. You have heard them. The macro economy is doing just fine. First, for all motor vehicles. Second, regular cars, luxury cars, and SUVs, but no trucks, vans, etc. Those are dramatic losses following so many years of gains. I imagine it helps explain why the Perez family sold a majority interest in their family firm, Ricardo Perez S.A., to a Japanese firm. I hope they got a good price. They earned it. There are other examples that could be used, but many of them, hotel occupancy for instance, primarily reflect tourism and others, ITBMS (sales tax) receipts for example, are also affected by tourists and other foreign visitors. Motor vehicles are clearly purchased by people living here, not visitors. I think that is the important story. In some nations, a terrible natural disaster can change everything. Think of Ecuador’s earthquake or Puerto Rico’s hurricanes. Is this true of Panama over the last two years? No. In many Latin American nations, the fall in prices of a major commodity can turn the economy and government financing upside-down. Think of oil, copper, tin, agricultural produce, even coffee for some small nations. Is this true of Panama over the last two years? No. Has there been a major increase in unemployment compared to past years? There has been an increase, but is it enough to explain what is happening now? Let’s look at INEC’s statistics for unemployment since 2001. Unemployment has not even reached the level in 2010. It is a legitimate concern and something to be watched, but do you really believe it is the cause of such dramatic losses in motor vehicles sales? Not me. So again, why is this happening? How can Panama have a recession in the middle of a multi-year expansion, the strongest expansion in the Americas? Based on my own experience over five decades and in many nations, I believe I am seeing something I have seen before, but for the first time on a national level, not a regional level in a large nation. Panama is a very small nation and most of the population lives in less than half of the nation’s territory. If you get in your car in the morning, you can easily arrive anywhere in an area that includes roughly 70% of Panama’s population in time for lunch. Or if you go further, you can arrive anywhere in an area that includes roughly 90% of the population in time for dinner. As my Panamanian friends told me when I was a new resident, Panama is a village. Every weekend and holiday, tens or sometimes hundreds of thousands of Panamanians are on the road, visiting family and friends. This is a strong family-centered nation and it is one of the nice things about Panama. It also means that what people feel in the city is shared with people in the countryside regularly. What happens in Panama City does not stay in Panama City. “Word of mouth” is more powerful than any television station, radio station, newspaper, even the Internet, especially when it comes from someone who is part of your family or a close friend. As I said in an earlier commentary, Panama is more than a nation, it is a 21st century “city-state”. When family and friends discuss current events and they are positive, people feel good about themselves and enjoy spending their money. When the news is negative and stays negative for months and months, they become negative in their thinking and they spend less because they are unhappy and don't know what the future holds. As everyone living in Panama knows, there have been many stories of corruption and dishonest politics over the last few years. Panama is not alone. Brazil’s Odebrecht scandal has forced this topic to the public’s attention in many Latin American nations and that has led to even more accusations. As time goes by, people become more and more conservative in how they spend money. It is a natural reaction to continuous negative news. When they spend less money, business suffers, employees lose jobs, tax revenues fall, and that brings more negative news. The result? More and more people spend less money and we have a “vicious circle” as the negative news reduces people’s spending and the reduced spending increases the negative news. In economics, what I just described is an example of the “velocity of circulation of money”, or simply the “velocity of money”. As one of my Panamanian friends told me last year when this became obvious, “Everyone says the economy is bad. My clients used to see my services as a necessity. Now they see them as a luxury.” That hurts, not just her business, but many others as well. If it continues, the entire economy suffers. I mention this because I often read others who focus on the reduction in tourists or the delay in the convention center as important factors. I agree and have commented on them here, but people outside Panama are not responsible for this problem. It is you and me, both citizens and full-time expatriate residents, who are far more important than any outside group. After all, the macro economy is fine. It is the micro economy, the people in the streets, where the problem lies. It is not our fault. We do what we think is the safest thing to do at a time like this. Will this turn around? Yes. The continuing growth of the economy will help. The opening of the convention center, Metro line 2, and the new terminal at Tocumen will help. And God willing, if all goes well with the hundreds of thousands of people from all over the world taking part in World Youth Day in January, that should help too. Yes, politics will continue and there will be plenty of negative moments as in every democracy, but even that quiets down when elections are held. 2018 may be a difficult year, but it can be the foundation for a much better 2019 and an even better 2020. Many years ago, I had the honor of studying and practicing the Samurai art of Kyudo (archery) with the late Kanjuro Shibata. He was a 20th generation Samurai and held the official title of Chief Archer and Bowmaker to the Emperor of Japan. When you pull back on the bowstring, it gets more and more difficult. The string can cut right through your skin, so you wear a very small glove that covers the fingers on the string. The further you draw the bowstring, the future the arrow will go. Holding the bow steady while pulling the bowstring as far back as possible requires strength, but especially focus. Even with a glove, it can be a painful experience and you can lose focus. If you do it well, the arrow will fly. I did this and watched it done by others several hundred times. On one occasion, the bow split. It was a very frightening moment as all that tension was released unexpectedly. The result was far more painful than pulling the bowstring. The archer had not pulled the bowstring too far. The bow had a fault in its construction and that was the problem. I see Panama and its economy in the same way. Panama is the bow. We, citizens and permanent residents alike, are the archer “pulling back on the bowstring”. Sometimes it is painful and we want the pain to stop, but I truly believe that Panama is a strong bow and Panamanians are more focused than some people may think. One day, they will release the bowstring and the arrow will fly further than anyone expects today. In my next essay, I will present a statistic that you will not find anywhere else. 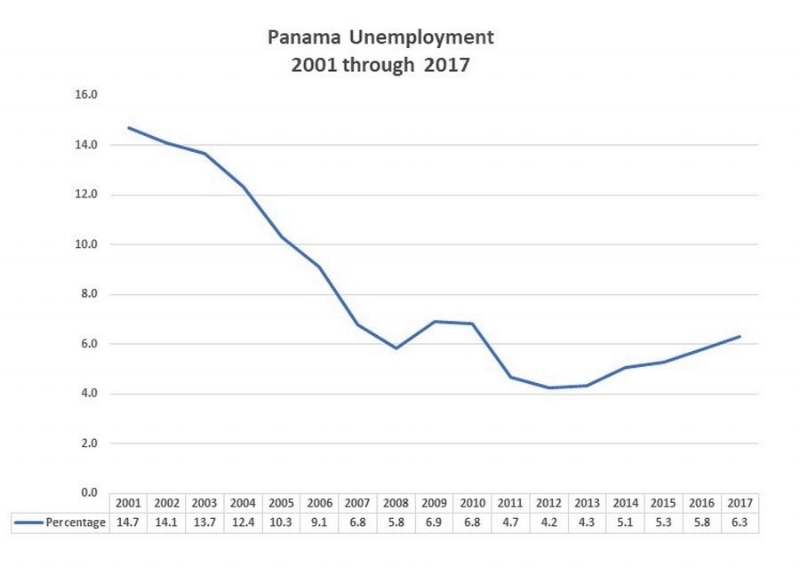 Like the unemployment statistic in this essay, it will look good, but buried inside it, there is an indication that Panama may lose a very important foreign market. I will show the statistical warning and I will compare it to another Latin American nation that ignored it and suffered, and I am not talking about Venezuela or Colombia. First, regarding the "Chepo project" mentioned here in past weeks, we now have the details. Unfortunately, it's not The Mouse! However, if approved, the construction of several thousand homes in Chepo District certainly will have a major impact on the district. Second, the recent purchase of more than 2,500 hectares (6,200 acres) in Chepo District is worth noting. We have a good idea as to where this property is located. The owner will have to take on substantial costs to improve infrastructure, but given the millions they have already spent, they seem capable of doing it. Although it is not associated with Lake Bayano where the property we represent is located, it is not that far away. We see it as a "plus" for the Lake property as it will appeal to a different market segment than ours, but will bring serious attention to the whole area. We wish them well. in any case, Chepo District is entering a new phase in its history. Meanwhile, we have developed three possible approaches to the Lake property to be shared with a serious buyer. Now, on to another subject. It is a long story, but years ago some people in Panama were saying that American retirees were no longer coming to Panama to live. That did not make any sense to us from what we knew of the situation. However, a "hard" statistic was necessary. In other words, we needed a genuine statistic from a recognized authority. We found one provided by the US government and we have the results over a 15-year period from 1/1/02 through and including 31/12/16. The results for 2017 will not be available until later this year. The Social Security Administration of the US government is responsible for paying retirees. They do not care where you actually reside, and you do not have to send them a "change of address" form if you move. That is a concern for the tax people at the IRS. However, for obvious reasons, they do keep careful track of where you want your payment sent. Each year, they provide statistics for every nation where American retirees receive their checks. There is a lot of detail involved here, but the important fact is that no Americans have their payment sent to Panama unless they are living here and, if they return to the US, that payment will return with them. For clients, we go into further detail, but this is a good summary. This statistic shows the trend and that is what concerns us. If the trend is up, more American retirees are moving to Panama than leaving Panama. If it is down, the opposite is the case. We do one more thing. We also provide the same information for Costa Rica, Mexico, and the World total. We include Costa Rica and Mexico because they have been popular retirement nations in the US for decades. In the 20th century, they were the leaders. We include the World total to show how many American retirees are moving outside the US in general. There is a problem. We cannot compare the actual numbers. Mexico, for example, has an estimated 1,000,000 and more American residents. The World total includes everyone. Their numbers are always going to be much larger than for Panama and Costa Rica. What can we do? We developed an index. Each of these three nations and the world total begin in 2002 at the same level - 100. After that, the numbers show the percentage change. This way, all four can be compared successfully. - The World total continues its steady growth. - Mexico's cartels and political difficulties have not been attractive to northerners, but at least there is some growth. - If you need any evidence that Costa Rica has lost its leadership position in this business, here it is. Every year, I expect them to stabilize, but they just keep falling. Costa Rica is now almost back to where it was in 2003. - Panama is doing very well in comparison to the others. However, we can see a slowing down over the last three years. This is not serious yet, but it is a warning. It is easy to have an opinion, but we stress research and we think there is more than one factor involved. .Our research clearly tells us that this can be turned around, but it will require understanding what has been happening.. There is a great deal I could add, but that is for client presentations. This is sufficient for today. As a final comment, I will share a brief news note I received this morning. We follow technology at Panama Wave every day and it is a challenge to keep up with the action. For example, autonomous vehicles run by computers, when will they be part of our lives? Five years? Ten years? "On March 6, Uber announced that its self-driving delivery trucks have been operating in Arizona for a few months, Engadget reported. The company said it has two main transfer hubs in Sanders and Topock and has completed thousands of rides so far. Uber did not disclose other details of the operations such as the number of trucks in use, miles driven, delivery contents or information about how often drivers have had to take over the autonomous system." They have been operating for months and have completed thousands of rides/deliveries? Why do they only announce it now? Because they are ready to expand. They know the "details" and they are moving forward. A PDF of this commentary can be downloaded here.